Hey Tampa Bay.. Alex here to tell you where your children can eat free this summer. 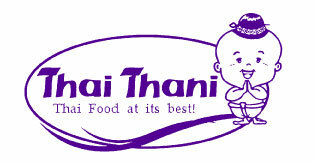 Bring your family to Thai Thani and Oishi at Channelside and get a FREE meal for your child!. Let them experience family dining at a great Thai restaurant in Tampa! Thai Thani and Oishi have new awesome kid-friendly menuts that feature some original favorites like chicken fingers, meatballs and many more delicious dishes for the kids. They also offer a variety of family inspired Thai and Japanese Cuisine for adults. Now of course you know, this deal won&apos;t last forever, so bring the kids over to Channelside to take advantage of this great offer! Now please keep in mind that there is a limit of one free child per one regular entree purchase. This excludes holidays and sorry folks, but it can&apos;t be combined with any other offer. Click here to print a coupon, or just mention the ad at each location! That&apos;s all for now, but be sure to stay tuned in for more fun Tampa Bay dining updates from me and the rest of the Tampa Bay team!